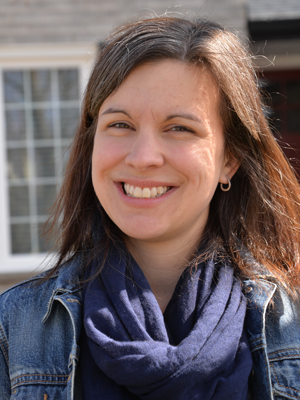 I am here today with my first Three Things post of the year. I really love doing these posts; I love pausing and photographing the little things that make me smile as I go about my busy days and documenting them here. I hope to do a few more of these type posts throughout the year to show a little more of 'me' on my blog. I sometimes feel like there has been a lot of show-and-tell around these parts and I want this space to speak a bit more to who I am and what happens in my life. I am more than just someone who pumps out one craft project after another, other stuff happens too. Crafting will of course remain a huge focus, just with a little more of 'me' mixed in. Sound okay to you? 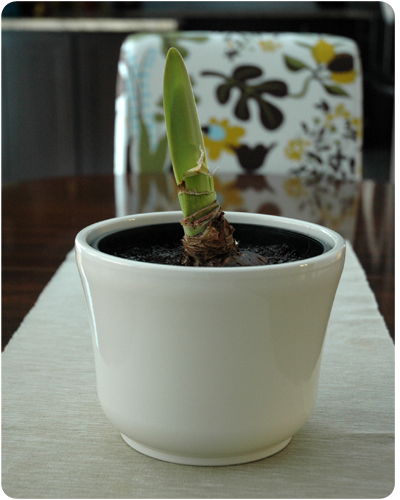 My amaryllis was very slow to start growing, despite the 'large bulb for optimal growth' described on the box. In fact, I was about to chuck it into the compost when it suddenly started sprouting. I took this photo on the weekend and it has shot up even more since then. 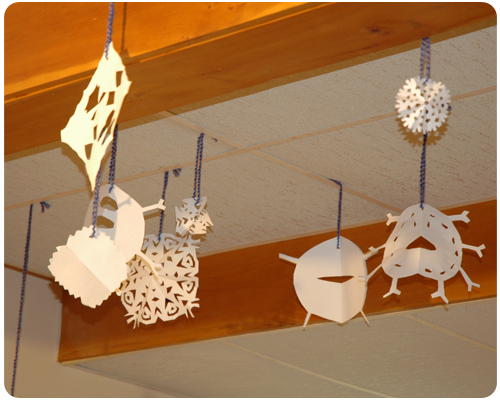 The paper snowflakes that the girls made and we hung from the basement ceiling with yarn. They just kept going and going, making more and more snowflakes. It looks so pretty. 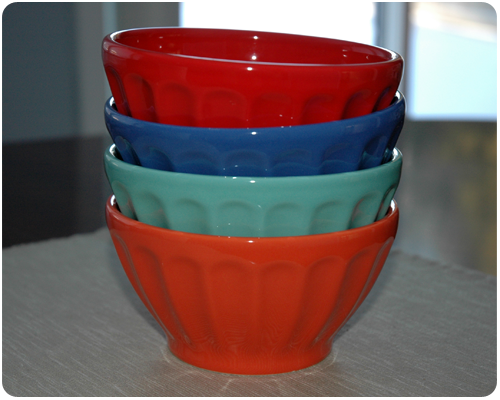 My new, colorful bowls from Anthropologie. I had been visiting these bowls online quite frequently and was so happy to get them as a Christmas gift. I have not used them yet; they have just been sitting on the kitchen counter looking pretty.